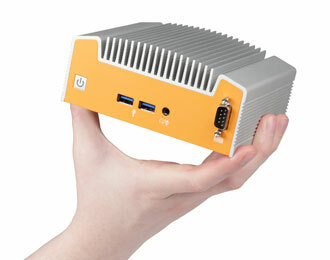 Ultra compact, fanless IoT Gateway featuring Intel Broadwell.  Featuring an Intel Broadwell Core i3 processor, the IoT-ML100G is the perfect fit for the wide range of computing tasks required of today's IoT gateway systems. 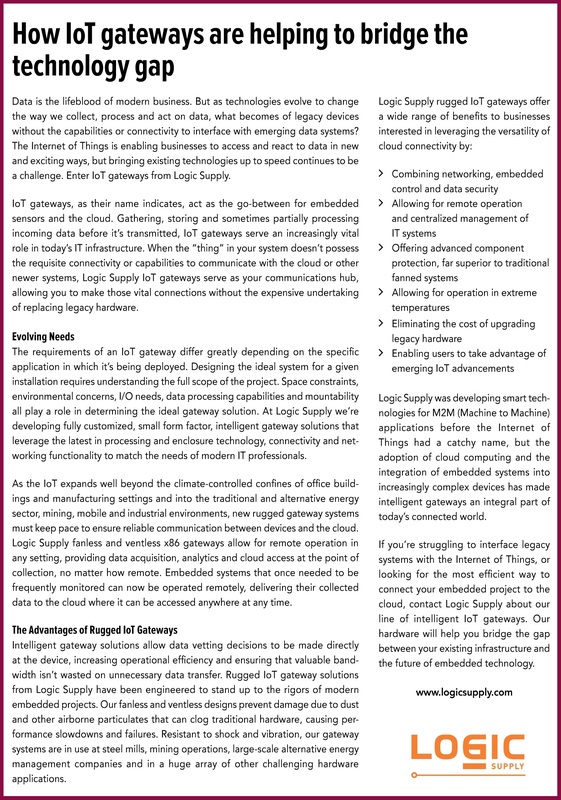 With ample onboard processing power to easily interface with modern or legacy manufacturing, automation or energy management systems, the IoT-ML100G provides the ideal backbone for any Industrial Internet of Things application. 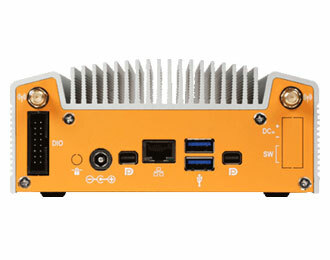 The IoT-ML100G brings beautiful, functional design to the expanding IoT Gateway marketplace. 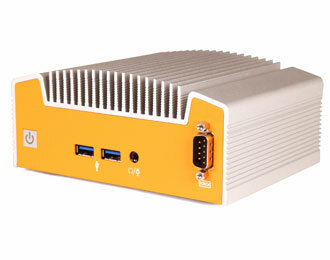 With a precision engineered, fanless and ventless chassis which optimizes cooling without the need for fans thanks to our Hardshell™ Fanless Technology, this computer can go anywhere you need it to. Plus, the future-proof design allows for further I/O expansion. 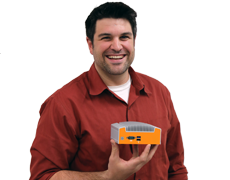 Connect all your devices to the cloud with ease using the included RS-232 COM, Wireless 802.11ac, Gb Ethernet or optional DIO and terminal block power. While the IoT-ML100G is perfect as a headless gateway device, integrated Intel HD graphics make it an ideal solution for more video intensive applications. 5.6" x 2.4" x 4.2"